Need help applying for CHAS, Constructionline, Safe Contractor, Exor, Safemark, Achilles and more? Being asked by clients to demonstrate your basic Health & Safety capabilities under CDM Regulations 2015? Don't have the time to sort this out? 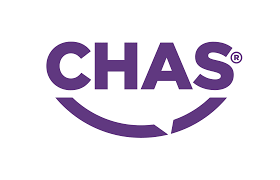 CHAS, Constructionline, Safe Contractor, Exor, Safemark & Achilles are the popular Health and Safety Pre-Qualification schemes used by both local authorities and the private sector to decide who they will invite to tender for work. Applying for accreditation like this can seem complicated and take up too much of your precious time BUT if you are not registered you may be prevented from tendering for work with your existing clients or potential new clients. At Powys Safety Solutions we are experienced in completing all sorts of pre-qualification questionnaires and applications for busy contractors, including CHAS, Constructionline, Safe Contractor, Exor, Safemark & Achilles. We can help you to become registered quickly while you get on with your day-to-day business. Our quoted costs are fully inclusive of all support associated with submitting your application(s) for accreditation but do not include the registration / membership fees charged by the assessment scheme(s) themselves. Powys Safety Solutions will support you right through the application process but any specific training courses required will be at an additional cost. Support right through the entire assessment process until you have been approved. Help for you to produce whatever documents and supporting evidence is required e.g. Health & Safety policy, risk assessments, safe systems of work, COSHH risk assessments, contractor management, toolbox talk training. Whatever is required for your application will be completed by Powys Safety Solutions own Health & Safety consultants. Throughout the process you will be supported with whatever you need to have your application accepted. CHAS, Constructionline, Safe Contractor, Exor, Safemark & Achilles applications can also become part of our Safety Support Scheme, if you prefer, meaning that we will take care of any Health & Safety requirements year in, year out for an affordable monthly fee - please ask for more details when you talk to us.